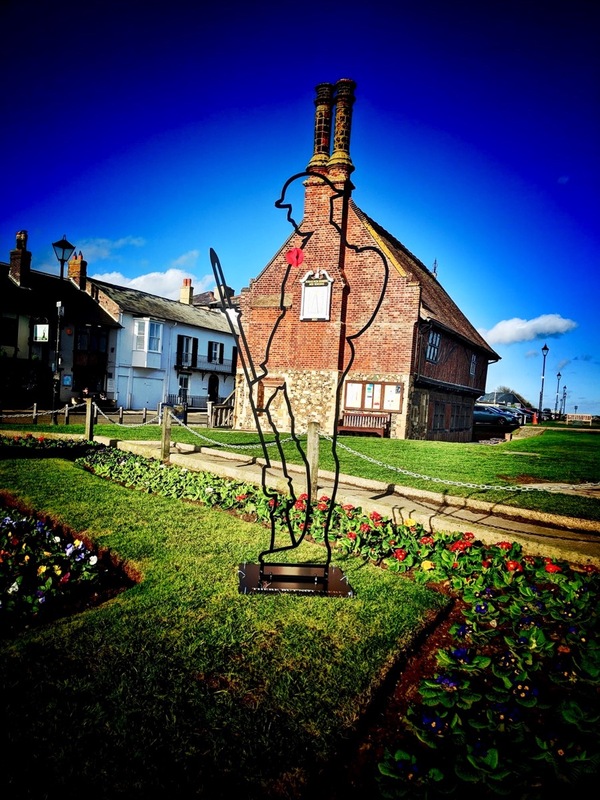 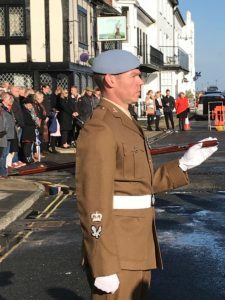 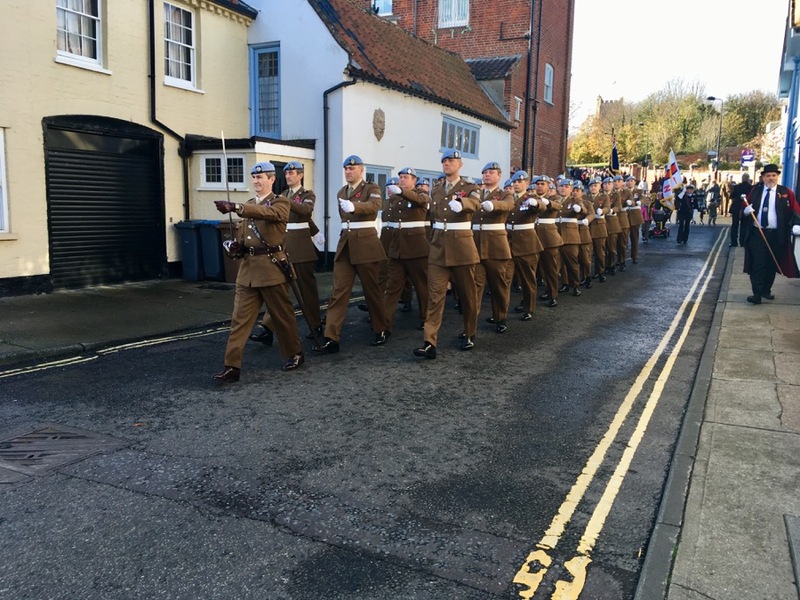 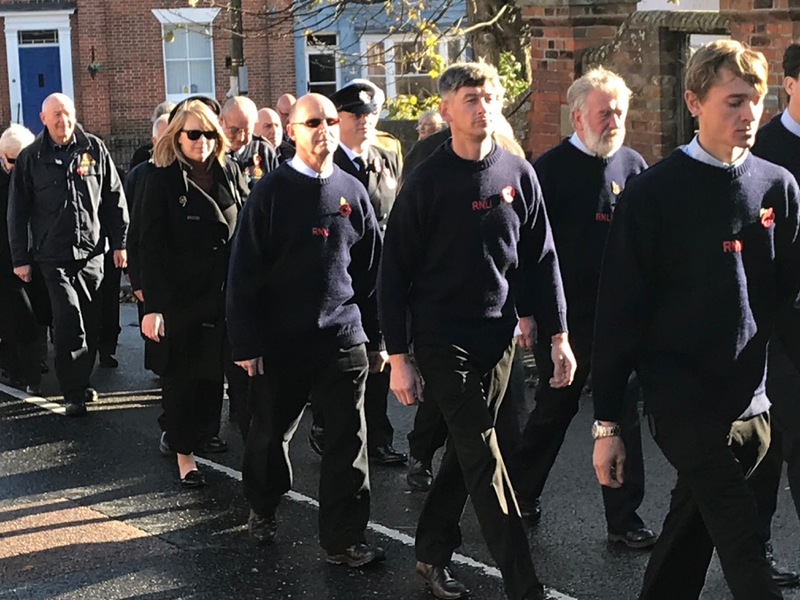 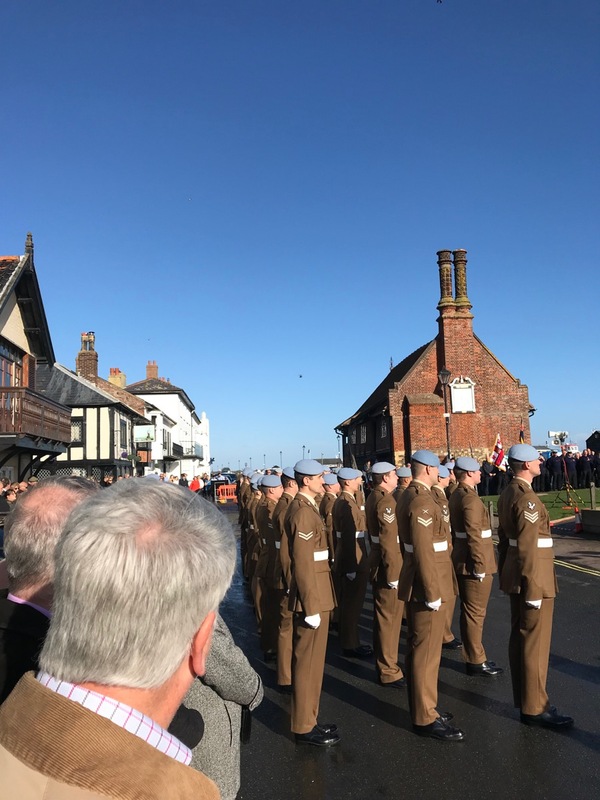 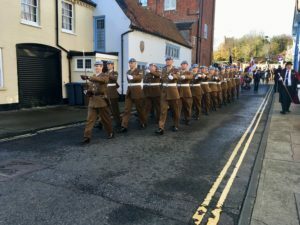 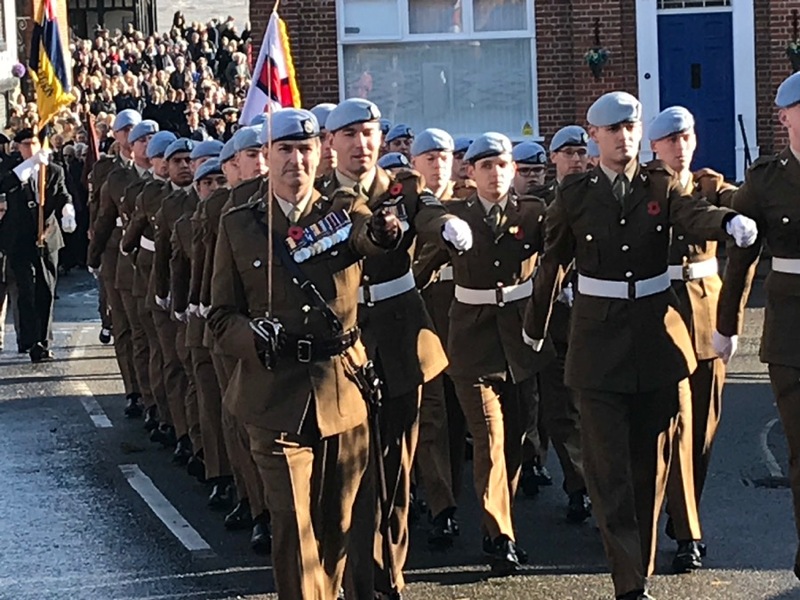 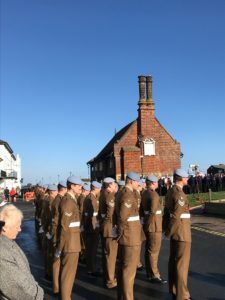 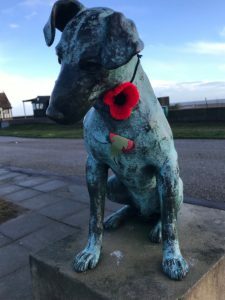 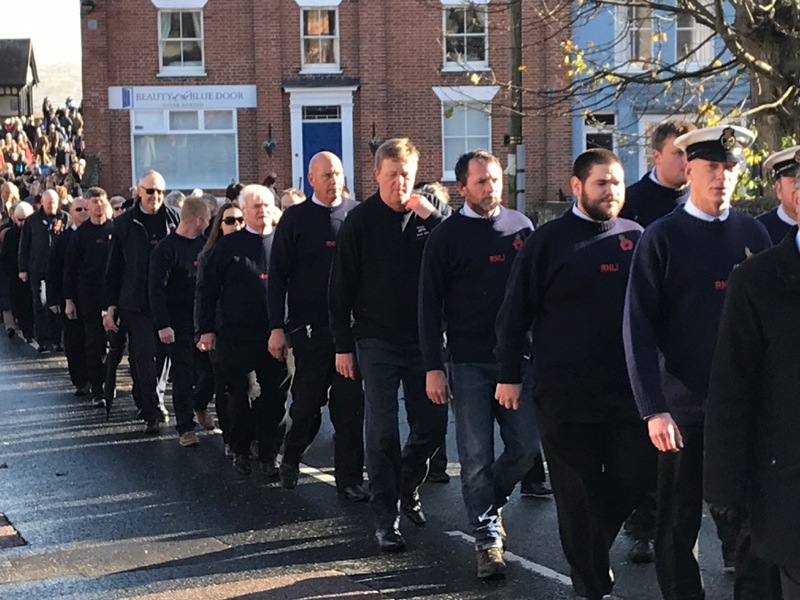 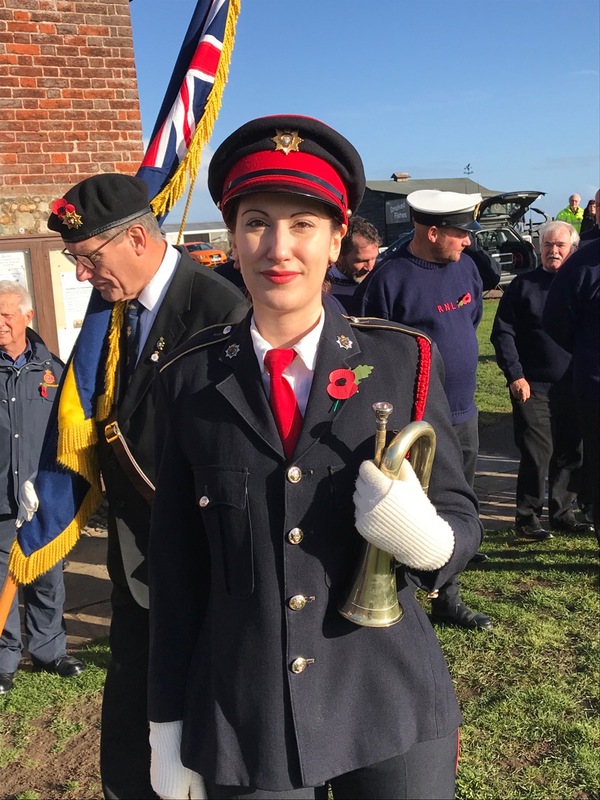 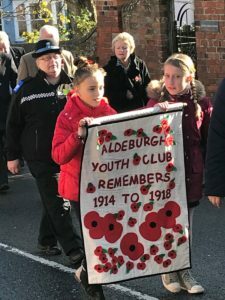 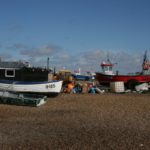 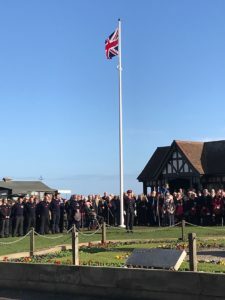 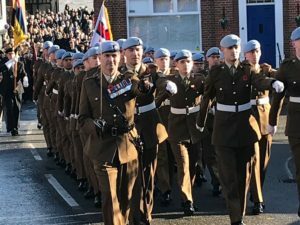 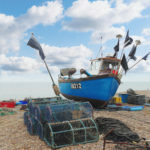 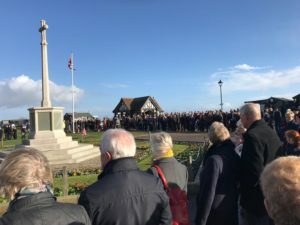  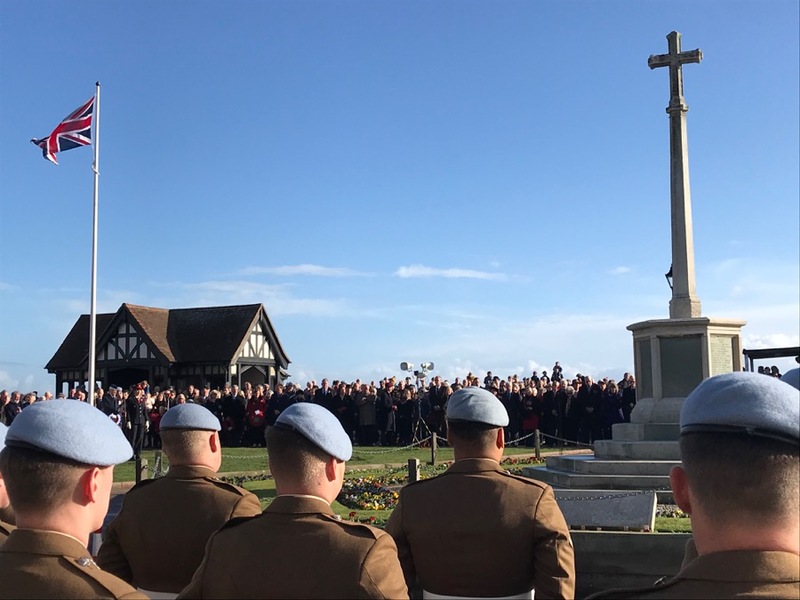 Aldeburgh turned out in force to play its part in Battle’s Over, an international commemoration marking 100 years since the guns fell silent at the end of World War One. 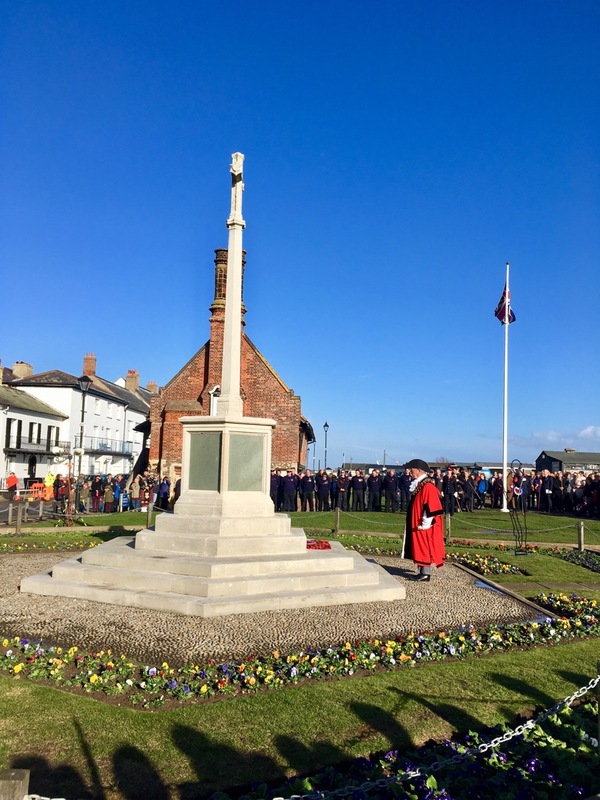 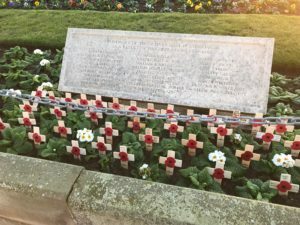 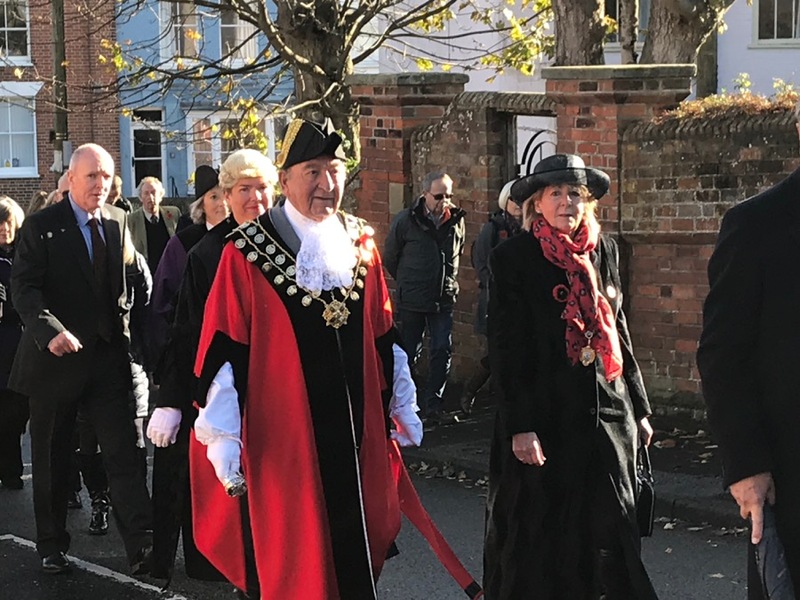 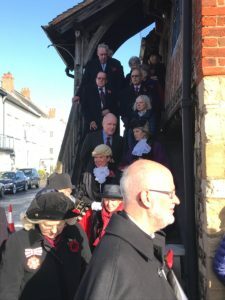 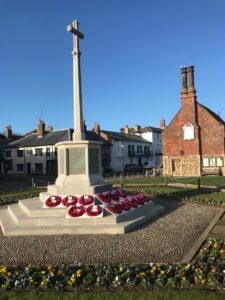 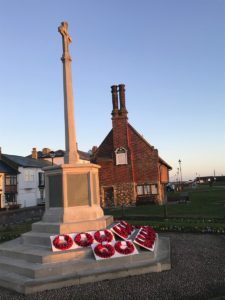 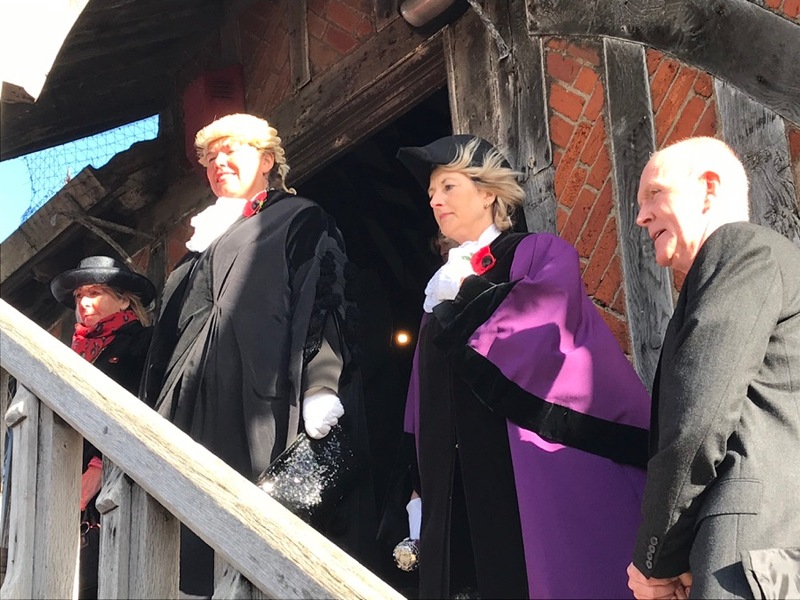 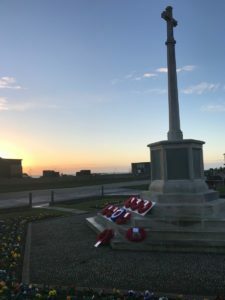 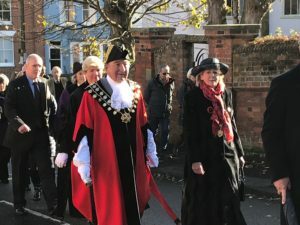 Hundreds of Aldeburgh residents and visitors, joined councillors, civic dignitaries, representatives from the town’s voluntary emergency organisations and local groups at the War Memorial to commemorate Armistice Day. 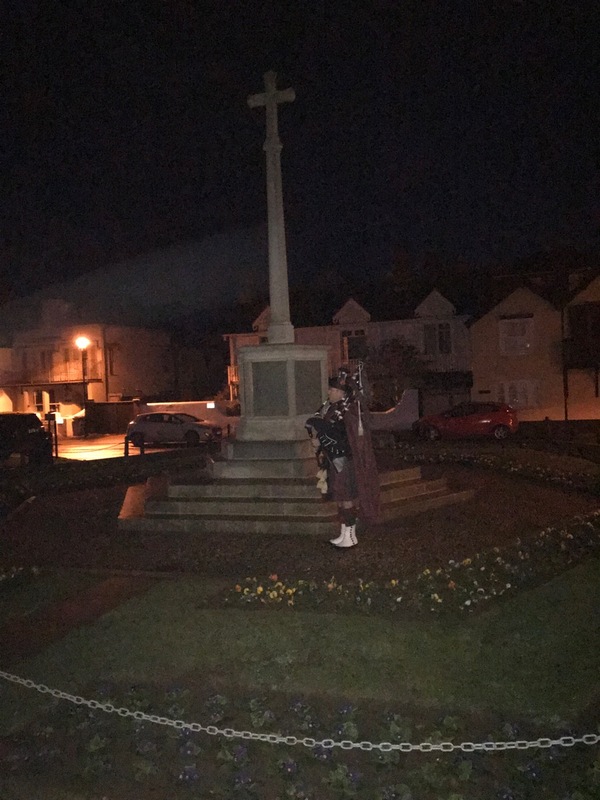 The day’s events started at 6am when piper David Gillingwater played a traditional Scottish air - Battle’s O’er - by the town’s War Memorial watched by more than 70 people, including members of the town’s Lifeboat crew. 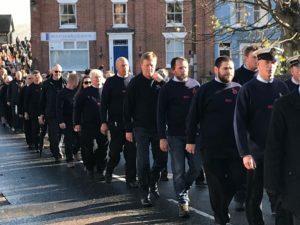 This event was held at exactly the same time at more than 1000 locations across the British Isles and overseas. Civic dignitaries, guests, residents and visitors started to assemble at the War Memorial from 10.30, together with soldiers from 653 Squadron. 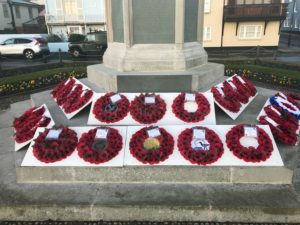 Wreaths were then laid to mark the start of the Service of Remembrance. Shortly before 11am, The Exhortation was read by John Richardson OBE, followed by Prayers, led by Rev Mark Lowther, Vicar of St Peter and St Paul Parish Church. At precisely 11am, a maroon was fired on the beach to mark the start of the two-minute silence, the end of which was marked by another maroon. Reveille was then sounded by bugler Nina Horrocks-Hopayian, followed by the Kohima Epitaph. 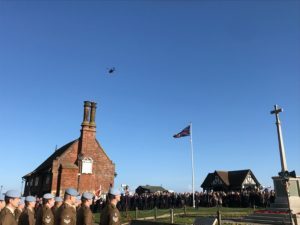 The watching crowds turned towards the sea as an Apache helicopter from 653 Squadron performed a ceremonial flypast over the beach. 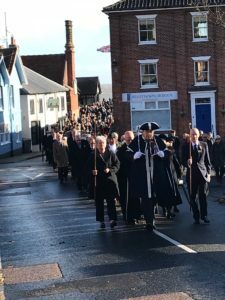 The piper then led the procession to the Parish Church for a Service of Remembrance, where the names of Aldeburgh’s Fallen were read out. 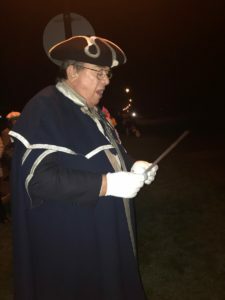 The day’s commemorations resumed in the evening when, just before 7pm, the Last Post was sounded at the beacon on Crag Path, which was lit shortly after - an event mirrored at coastal beacons across the land to signify the light of peace that emerged from the darkness of four years of terrible human sacrifice. 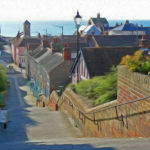 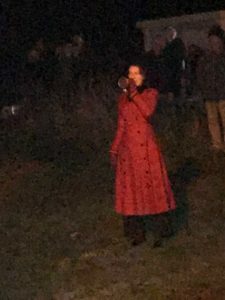 As the flames died down at the beacon, Aldeburgh Town Council Mace Bearer, Charles Walker, recited a specially-written Cry for Peace Around the World to the dozens of people gathered at the beacon.The piece was first recited in New Zealand and then crossed the world’s time zones. 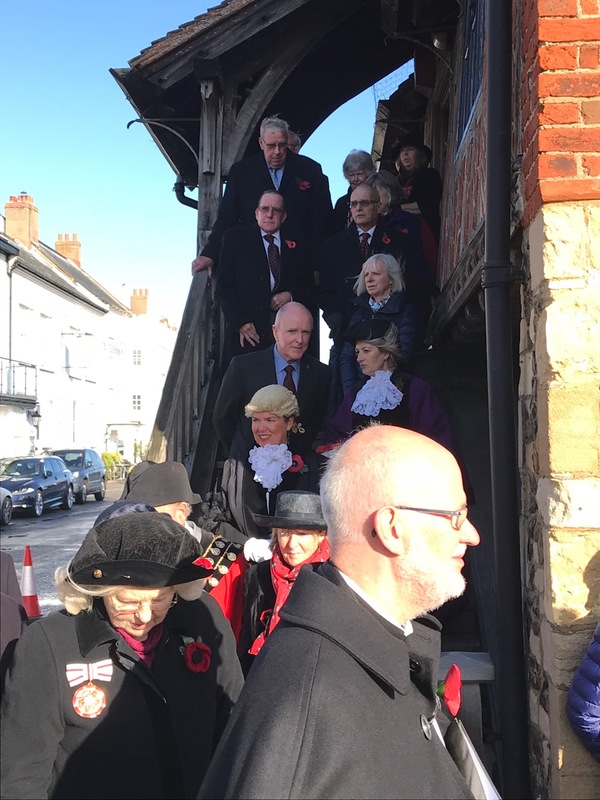 Bells rang out from the Parish Church as part of Ringing Out For Peace, organised in association with the Central Council for Bell Ringers. More than 1000 churches and cathedrals simultaneously joined the event. Many of the coordinated events were organised by Pageantmaster Bruno Peek LVO,OBE,OPR, and took place throughout the British Isles and at hundreds of locations overseas.